Comox Valley’s first Home Expo of the year comes to Courtenay this April! Visit this FREE event to see the best products and services for all of your home, garden, and outdoor living needs. Don’t miss your chance to talk to local experts about your plans for home improvements, and find the professionals to get the job done – kitchen and bathrooms, roofing, windows and skylights, décor, and more. They are on hand to provide advice and assist you with all the projects on your list. This show emphasizes the finishing touches that make a house a home and the resources to make your home a masterpiece! ➥ See the show map and list of exhibitors here! Join us this weekend for a great variety of exhibits to stimulate your senses and inspire you to create your dream home. Come to the Comox Valley Spring Home Expo, April 5-7 at the Comox Valley Sports Centre, located at 3001 Vanier Drive in Courtenay. 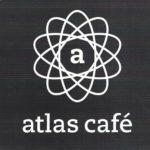 Admission is FREE all weekend, plus your chance to WIN dinner for two to Atlas Cafe! Looking for information for Exhibitors? Click here to switch to the Comox Valley Spring Home Expo Exhibitor Information!